Hollenshade’s offers Quality and Timely automotive maintenance and repair for domestic and foreign makes and models. 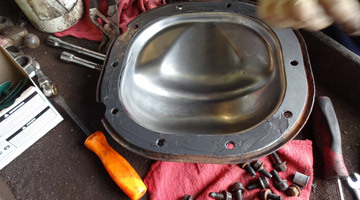 The professionals at Hollenshade’s perform a variety of services to manufacturer specification using quality parts and proper tooling. Hollenshade’s has been a family-owned and operated automotive repair shop serving families in the greater Towson community since 1939. 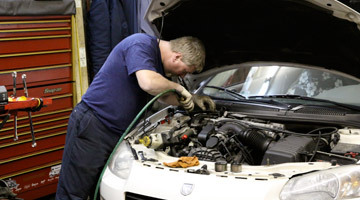 Drivers in Baltimore can expect the highest standard in car maintenance and repair. Hollenshade’s delivers the greatest value to families and drivers by diagnosing and repairing your vehicle accurately on the first visit. Preventing comebacks and additional repairs provides drivers peace of mind. Please feel free to schedule an appointment by contacting us anytime. 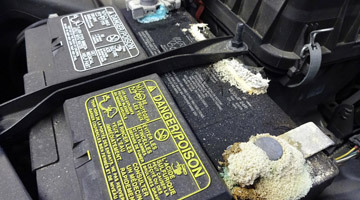 The battery, starting and charging system components are critical to the reliability of a vehicle. 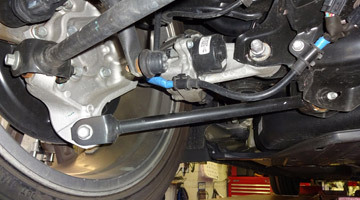 The components of the brake system must all be functioning properly to ensure safe operation of your vehicle. 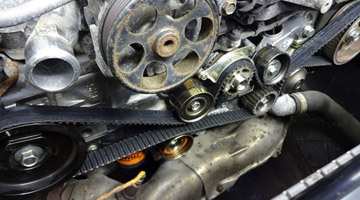 The belts and hoses on a vehicle are rubber and wear over time. Proper inspection by a trained technician can identify issues prior to failure. The clutch is wearing component in the drive-line of a manual transmission vehicle. 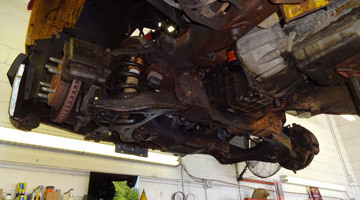 Check out our manual transmission repair photo gallery. 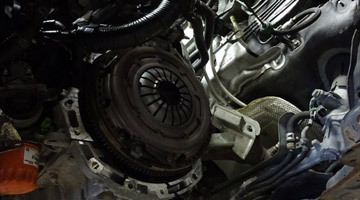 The current technology included in modern-era All-wheel drive (AWD) systems requires maintenance and inspection tasks be performed by professionals to prevent costly repairs. The stress and strain placed on the axle, wheel bearing & other drivetrain components is greater with modern era power levels and all-wheel drive (AWD). Our experience provides accurate diagnosis of drivetrain components. The expert technicians at Hollenshade's can accurately and efficiently diagnose the electrical issue with your vehicle. With computer modules and LAN now commonplace, modern-era vehicles place greater demands on the car's electrical systems. 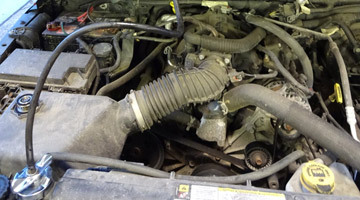 The emission systems on modern vehicles are complex and require a trained professional to properly diagnose and repair. 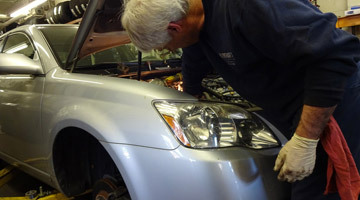 Hollenshade's team includes master certified emissions technicians. 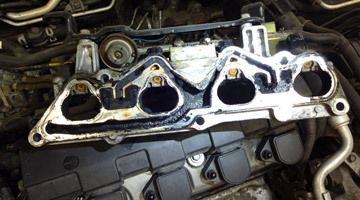 The engine must be maintained, inspected & repaired properly to ensure good performance and longevity. Direct Injection (DI) fuel delivery requires new approaches to maintenance. Hollenshade's experience with all makes and model engines translates to greater value for drivers and families. CHECK OUT OUR VIDEO! 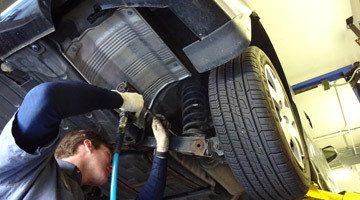 The exhaust system on a vehicle can rust and corrode due to the toxic gasses it controls. Repairing a failed component in the exhaust system once can prevent more costly repairs in the future and increase safety. 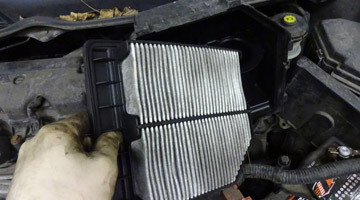 The specialist at Hollenshade's check all of the vehicle fluid levels and condition of the filters as part of their scheduled maintenance service. The heat levels under the hood of modern era vehicles place new requirements on the fluids used by the vehicle's systems. The fuel system is a complex system that should be repaired by a professional technician. The team at Hollenshade's includes specialist in traditional, multi-port, sequential (SFI) & direct injection (DI) type fuel delivery. CHECK OUT OUR VIDEO! 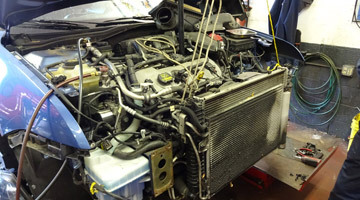 Hollenshade's specializes in automotive air conditioning and heating system diagnosis and repair. Their experts save you money by fixing the system properly when required. Check out our photo gallery. The lights and wipers on a vehicle must function properly for maximum visibility at night and in adverse weather conditions. Hollenshade's inspects the lights and wipers during scheduled maintenance services. Ask us about our two options for headlight restoration! 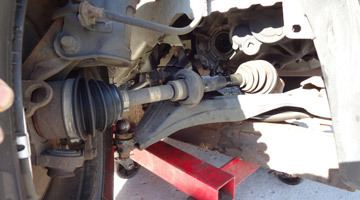 The compoenents of the steering and suspension on a car are stressed at great levels due to road conditions and the high performance nature of modern era vheicles. Should you suspect something is not correct with the performance of your vehicle's steering or suspension system schedule an appointment. We will test drive with you to determine if further inspection is warranted. 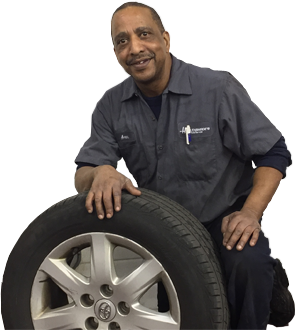 The team at Hollenshade's offer tire repair, mounting, balancing & installation. We sell all tire brands. Contact us and we can provide you with some options for your next tire purchase. The cooling system must be functioning properly so that engine overheating does not occur. 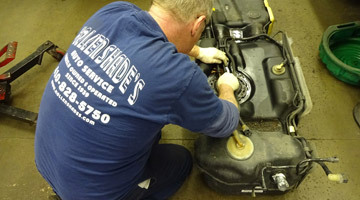 The team at Hollenshade's includes specialist in cooling system diagnosis and repair. Hollenshade's offers a full range of maintenance services. 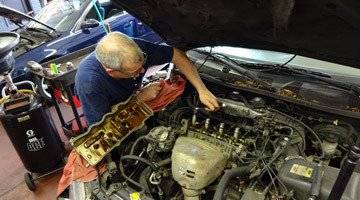 Our trained specialists and experience provide value as you navigate the necessary scheduled maintenance for your vehicle. Completing the necessary services proper ensures maximum performance and service life for the vehicle. 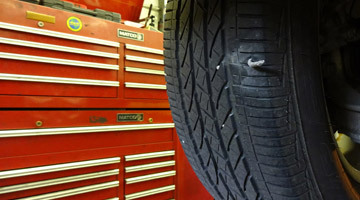 A vehicle must be properly aligned to maximize the longevity and performance of the tires. 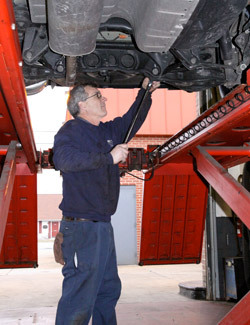 An alignment should be performed periodically as part of a standard car maintenance routine. 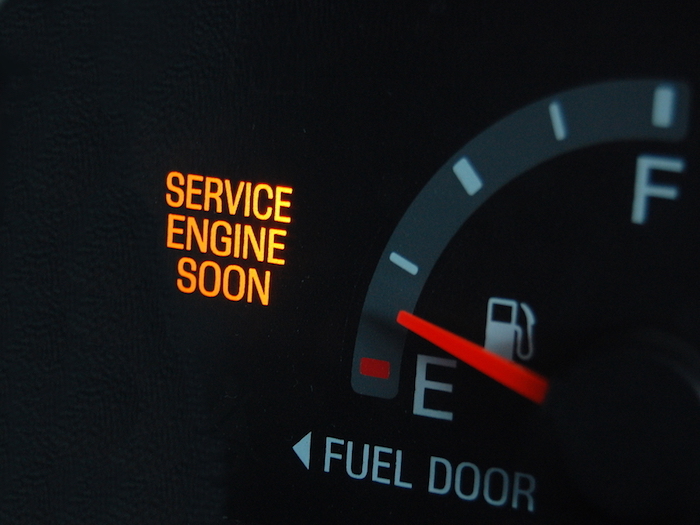 The check engine light can indicate a number of different issues. It is best to have the code retrieved and evaluated promptly by an experienced technician. The window motor, power window master switch, and gear position selector are all interior components that see significant use and wear in a vehicle's interior.